Mosquito borne illnesses are not often seen in Europe as the relatively cold climate is generally unattractive to mosquitos. The Aedes mosquito (responsible for the transmission of dengue, chikungunya, yellow fever and the Zika virus) has a variant that is said to be adapting to the chillier weather, however. This species is Aedes albopictus, the strikingly striped variant earning its common name of the tiger mosquito, which can now be found in the more southern countries of Europe during summer months. As travellers return home following trips abroad, some will be harbouring viruses caught whilst on holiday. If a traveller infected with chikungunya, for example, returns home to a region infested with the Aedes albopictus, and is then bitten by these local mosquitos, then the mosquitos themselves can also become infected with chikungunya and able to spread the disease to fellow countrymen. This is called autochthonous transmission, and is what has occurred both in France and Italy this summer. There have been 13 cases of chikungunya reported in the Provence-Alpes-Côte d’Azur region of France and 14 from Italy – 6 patients from Rome and 8 from the coastal area of Anzio. This is not the first time that chikungunya has been demonstrated in Southern Europe, but this painful illness does not have a long history in the region. First identified in Europe in 2007 from the Emilia Romagna region of Northeast Italy, chikungunya was also found in the French city of Montpellier in 2014. Whether the increase in cases is due to more frequent international travel, improved detection, or the much-cited global warming, is unclear at present. What is less uncertain perhaps is that if chikungunya can be spread locally in Southern Europe, it is only a matter of time before Zika comes to Northern shores, as was seen in Florida last year. As there have been other recurrences of mosquito-borne illnesses in other parts of Europe this year, there may be a common cause. 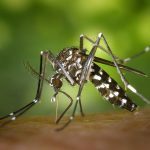 Whether the three recent cases of malaria in Cyprus were also related to an increasingly permissive climate for mosquitos remains to be seen. The WHO declared Cyprus malaria-free in 1967. Makes you wonder. There have been two recent reports concerning vaccines of interest: one encouraging, the other quite concerning. A candidate Zika vaccine has now been shown to produce an immune response in humans in three studies. These results come from phase-1 clinical trials. Although we will only know for sure if the vaccine protects against the Zika virus following phase-3 trials, the fact that Zika-specific antibodies are produced following immunisation is a good first-step. Such antibodies have been shown to be protective against Zika in mice, but there are sometimes some surprises between the results obtained in animals, and those with humans. News from the Philippines has produced concern over a vaccine for a related disease, dengue fever. As mentioned here previously, there were theoretical risks associated with vaccinating people with a dengue vaccine. This is because a severe form of dengue (causing haemorrhage and sometimes death) can result when an individual is first infected with one form of dengue (there are 4 sub-types) and subsequently infected with another sub-type at a later stage. Simply put, the immune response generated to the first infection actually makes the second infection much worse. The theoretical fear was that in those people who had yet to become naturally infected with a dengue virus (mostly children of course), a dengue vaccine might prime the immune system to worsen the situation when the child is later bitten by a dengue-infected mosquito. 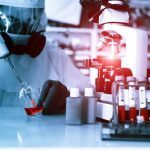 Although there are few published details, Sanofi, the maker of the dengue vaccine, admitted that for those not previously exposed to the virus, severe forms of dengue may subsequently occur following vaccination. A review of all of the results are hoped to be released by the WHO by the end of the year. Seasonal Flu is a worldwide killer. Affecting between 3 million to 5 million people each year, severe infections requiring hospitalisation can occur especially in the young, the old, and those with a pre-existing medical condition. In fact up to 500,000 deaths are attributed to seasonal flu each year around the globe. The advent of a flu vaccine has been effective in the reduction in the number of those affected by influenza. Each year a prediction of the likely flu viruses that will be prevalent in winter is made, and this forecast is used to structure the cocktail of influenzas contained in the year’s flu jab. Clearly, there can be a mismatch between the forecasted vaccination and the flu viruses that actually cause disease by the time winter comes. Usually the effectiveness of the vaccine has been at least 50%, but last year the immunisation was said to be only 34% effective. Moreover, this year there is some concerning preliminary evidence that only 10% of those receiving the flu inoculation will receive protection from this season’s flu. The data comes from Australia. As their winter ‘precedes’ that of the Northern Hemisphere, there is always interest to see if the flu vaccine has been effective in reducing cases of influenza. This year there has been a large increase in influenza notifications down under. Even during the H1N1 flu pandemic of 2009, the number of Australian flu cases was ‘only’ 59,022: this year’s case number was around 200,000. The better news, however, is that the number of fatalities has not risen to this extent, meaning that although there are more influenza cases, the virus is less severe than flu viruses in previous years. The main culprit responsible for this season’s epidemic is the H3N2 virus. This year’s vaccine did actually include an H3N2 component, but the flu that emerged during the Australian winter was a variant of this, and was still able to cause disease in those immunised. As flu viruses can mutate at a rapid rate, one of the difficulties of producing a vaccine in advance is that the virus may have changed in the meantime – this is called antigenic shift. As the Northern Hemisphere enters its winter, many expect that like Australia the prevalent flu will be H3N2. As those in the North have been immunised with a vaccine that is similar to the Australian version, very limited protection against influenza is feared. We will know for sure all too soon.